family members who have fallen away from the Catholic church. For me that I may find employment utilizing my degree in Religious Studies quickly so I can start my life on my own and quickly move closer to my dear friend Chris. So we can continue to discern marriage. Praised be Jesus now and forever! 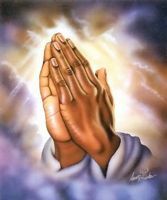 To all who read this/pray for me rest assured of my daily prayers for you and your families!